...either original or redialed? I'd be interested to see & hear about them. Just as a bit of background I believe the term "California dial" came into use around the 1980s. Many Rolex watches, the bubblebacks in particular, were redialed in the mixed Arabic/Roman numeral style. I've read that Kirk Rich redialers in California initiated the trend. On the matter of the Rolex watches, some time back James Dowling advised that the mixed Arabic/Roman numeral dial was patented by Rolex in 1941 (Swiss patent 221,643) but had been in use by them prior to that date, and that Rolex referred to this style as the "High Visibility" dial in their advertising, (and the "High Visibility" term was not limited to the mixed numeral styles, but rather to the type of dial with deep legible lume-filled numerals). The patent drawing is actually in James Dowling & Jeff Hess's Rolex book "The Best of Time - Rolex Wristwatches" (on page 343 in my edition). It shows the "normal" mixed style we have come to know and also 3 other variations with different mixes of Arabic and Roman numerals that were not produced. 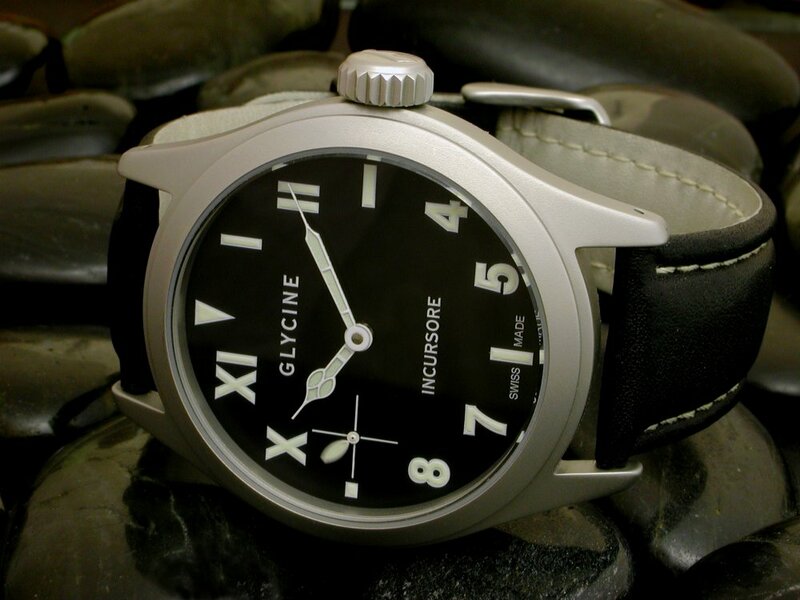 I only have this modern Glycine Incursore 44 example. It's a style of dial I find interesting. Next Topic: Kudos to the Omega Constellation.